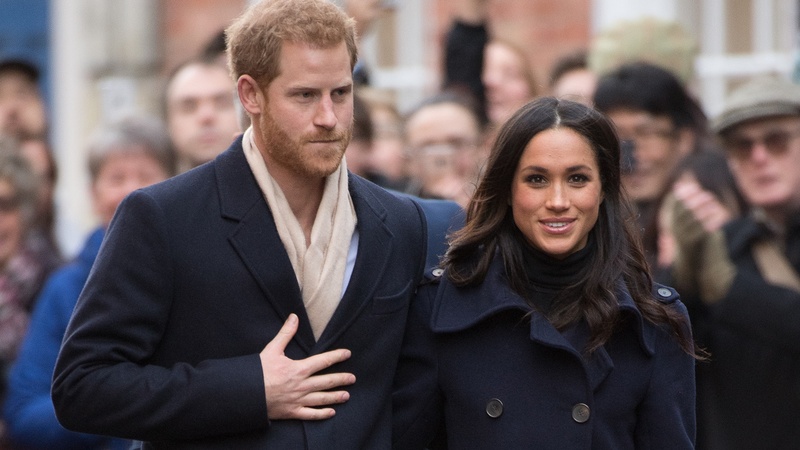 The details of the latest royal wedding are starting to pour in, and all signs are pointing to the fact that this will be a unique royal wedding. And honestly, we are loving this fun new spin on the classic royal wedding traditions we love. Today, rumor has it the couple is going to do something that has never been done at a royal wedding (or any wedding that we know of) before — they are going to have a banana-flavored wedding cake. “This will be the first royal wedding cake made from bananas,” a source tells The Telegraph. When we first learned about the news, we had some questions, but most important — why a banana cake? Well, apparently the answer is quite simple. The couple just happens to share a love of bananas. In fact, Markle has Instagrammed banana love in the past. “As well as acting as a symbol for their affection, Prince Harry is said to love ‘anything with banana,'” the paper reports. Harry “loved banana flan, anything with banana really, banana ice cream,” a former royal chef said in a previous interview with Hello!, The Telegraph reports. To be honest, I’ve gotta agree with Harry. Banana bread is out of this world, so I would imagine a banana cake is equally delicious. While I personally would have opted for a carrot cake, I love that the couple is trying something new and shaking up those classic rules just a little bit.